Content marketing, when done right, should be about providing Youtility—marketing that provides help, not hype—to your audience. Companies that do this successfully balance a clear representation of the brand’s core value proposition with content that’s truly valuable and engaging. For over five years, The Allstate Blog has been publishing thousands of articles, videos, infographics, slideshows, and more. “Our content marketing is never a hard sell for Allstate’s products. Rather, it provides value for users by answering their questions to general insurance questions and giving tips, information, how-tos, and more on related topics—accompanied by calls to action should (as we hope, and often happens) the user want to learn more about Allstate,” said Melissa Hodai, Digital Content Team Manager at Allstate. In 2015, to grow the blog’s audience and expand upon its successful content marketing approach, 85-year-old insurance stalwart Allstate decided to reach out to influential content creators to add new voices, expertise, and additional value to its blog. Allstate reached out to content creators across about 10 different areas of expertise, working with Convince & Convert to vet and contact these potential partners. Not only did these guest bloggers engage with The Allstate Blog’s existing audience, but they brought their own audiences and spheres of influence to the site. “As with any content marketing program or project, it’s important to start with the ‘why?’—what do you hope to gain, and is a guest blogging program going to help you achieve that? 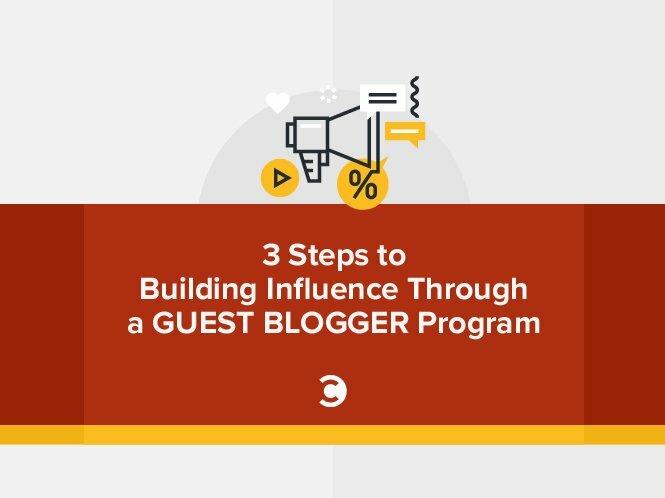 Guest blogging programs may not be for everyone, so don’t just do it because everyone else is. Only do it if you think it will further your goals. Once you have decided to undertake a guest blogging program, to me, it’s important to put processes and governance in place,” Melissa said. “As our content marketing strategy evolved, we wanted a way to bring new voices into the mix—people with specific areas of expertise, who could speak from experience about topics important to our audience. Additionally, we are always looking for ways to appeal to an ever-broader audience by filling topical and search gaps especially,” said Melissa. Like many companies, whether in regulated industries or not, Allstate also had to find its footing in developing processes with these external contributors. “Once we found bloggers who wanted to participate, there also was a bit of a learning curve for them in terms of our style and approval process. We had to balance our internal approvals and The Allstate Blog’s style with our desire to allow the guest bloggers to express their own style in their posts—which was one of the reasons we sought them out in the first place. The key to negotiating this learning curve lay in open communication—we created a one-sheet style guide for our guest bloggers outlining our requirements, and then worked closely with them on any edits that were necessary, in order to come to an agreement on the final post,” Melissa explained. High quality blog content can pay dividends for companies of all shapes and sizes, providing value through SEO, thought leadership, engagement, and lead generation. Setting specific goals and making sure that appropriate tracking mechanisms are in place (e.g. Google tags or goals) must be part of the planning process. For Allstate, the value of this guest blogging program has come in several forms. “The guest blogging program has been very successful for our blog in terms of our measurables, including platform traffic. As we hoped, it has provided a rich source of new ideas and new takes on the topics we cover, and it has also brought our content to a wider audience, especially when the guest bloggers shared our content with their social networks. In fact, the most-visited video on our Blog to date is from a guest blogger—’Check Engine Light: What Does It Mean and What Should You Do?‘ by The Humble Mechanic. In addition to actually producing the content, the guest bloggers also often come up with the topics, bringing new and interesting ideas to the table stemming from their subject matter expertise and their experience in creating their own online content,” Melissa shared. Editor’s Note: This post is part of a paid collaboration between Allstate and Convince & Convert.